A headache also known as cephalalgia, refers to the pain that occurs in the regions of the neck and head respectively. There are several possible causes for headaches. The condition maybe benign or in some cases, could require medical assistance. The most common treatment of headaches involves the use of analgesics but it all depends on the exact cause of the headache. Primary headaches include tension headaches, cluster headaches, migraines and other trigeminal autonomic headaches. The trigeminal nerve, also called the fifth cranial nerve, is a sensory nerve that plays a role in certain motor functions and also facilitates the passing of sensory information from the face and body to the central nervous system. Secondary headaches include headaches that are caused due to head or neck injury or trauma. There could be numerous causes for this type of headache ranging from brain tumor to encephalitis. Cranial neuralgias occurs due to pain caused in the nerves. When the nerves in the upper neck or head become inflamed or affected, it results in pain in the form of a headache. Facial pain and other causes of headaches also belong to this category. Let us now take a look at some of the common causes of headaches. As mentioned earlier, the causes of headaches can range from the minor to sometimes life-threatening conditions. The most common type of headache is the tension headache. A distinct cause of tension headache is not known. But, having said that, tension headaches are experienced when there is a contraction of the muscles that cover the skull. Although we are not aware of the exact causes of tension headache, it is believed that they are caused due to physical or emotional stress. Physical stress that may cause tension headaches include prolonged or tough manual labor, or a sedentary job that involves sitting at a desk or computer for long periods of time. Tension headaches could also be caused due to emotional stress that leads to the contraction of the muscles around the skull. It has been noted that tension headaches affect women more often than men. 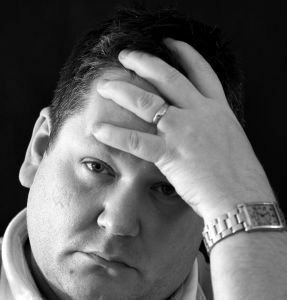 Cluster headaches are perhaps the most painful kind of headaches, an individual can experience. The degree of pain is quite intense and so, these type of headaches are not inappropriately nicknamed as ‘suicide headaches’. The headache may occur several times in a day and usually affect one side of the head (unilateral). Typically, they alternate with periods of pain-free weeks or months. The headaches cause extreme pain that will disturb a person’s sleep (usually at the same time in the night). The eye on the affected side often becomes red and watery and the nose may become blocked or runny on the affected side. The cause for cluster headaches is unknown, but they seem to be associated with seasonal changes such as autumn and spring. In some people, they are triggered by drinking alcohol or an extreme increase in temperature (such as from exercising in hot weather). Statistics show that cluster headaches are rare and affect about 1 out of every 1000 people. Although anyone can experience the headaches approximately 8 out of 10 people who have them are men and most are smokers. A migraine is a severe headache that often has a number of associated symptoms, such as nausea, increased sensitivity to light and sound and visual problems. They are common, affecting about one in four women and one in 12 men in the UK. Studies show that hormonal influences may be the reason why migraines affect more women than men.